Are You Tired Of Spending A Ton Of Money For Royalty Free Music That Isnt Even Good? Shockingly, Royalty Free Music Doesnt Have To Cost You An Arm And A Leg! Twenty Five Top Notch Professional Tracks In A Variety Of Genres, Adding Up To A Total Of 45 Minutes! By now youve probably heard about how much audio can add to your presentation, YouTube video, podcasts, and so forth. You cant just go out and use any old music, it has to be something you own the rights to. It needs to be royalty free. 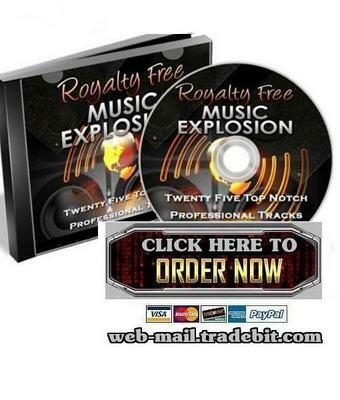 Look at it this way -- $4.99 is really a painless drop in the bucket to be able to get your hands on Royalty Free Music Explosion and start using it right away to improve your lifestyle! Its easy to get started right away. Just click the order link above.